Katharine Whitcomb is the author of four collections of poems: The Daughter’s Almanac published by the Backwaters Press (2014 Backwaters Prize, chosen by Patricia Smith), Lamp of Letters published by Floating Bridge Press (2009 Floating Bridge Chapbook Award), Saints of South Dakota & Other Poems published by Bluestem Press (2000 Bluestem Award, chosen by Lucia Perillo), and Hosannas, a chapbook, published in 1999 by Parallel Press. She is the co-author of The Art Courage Program, a faux self-help art book (with Brian Goeltzenleuchter), published by Jaded Ibis Press in 2014. 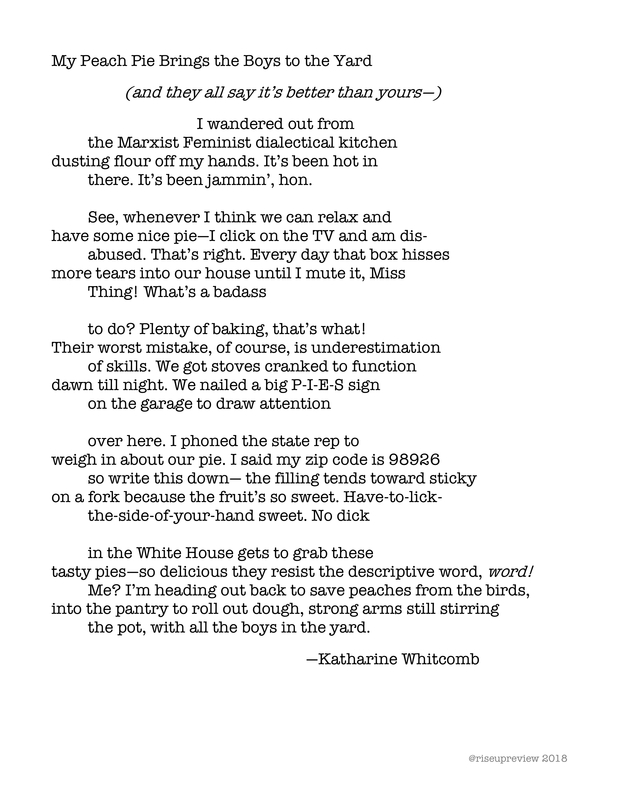 Whitcomb has recent poems in the WA 129 Anthology, “Renga for Obama” in www.harvardreview.org, and www.terrain.org. She is a Distinguished Professor of English at Central Washington University and lives in Ellensburg, Washington.